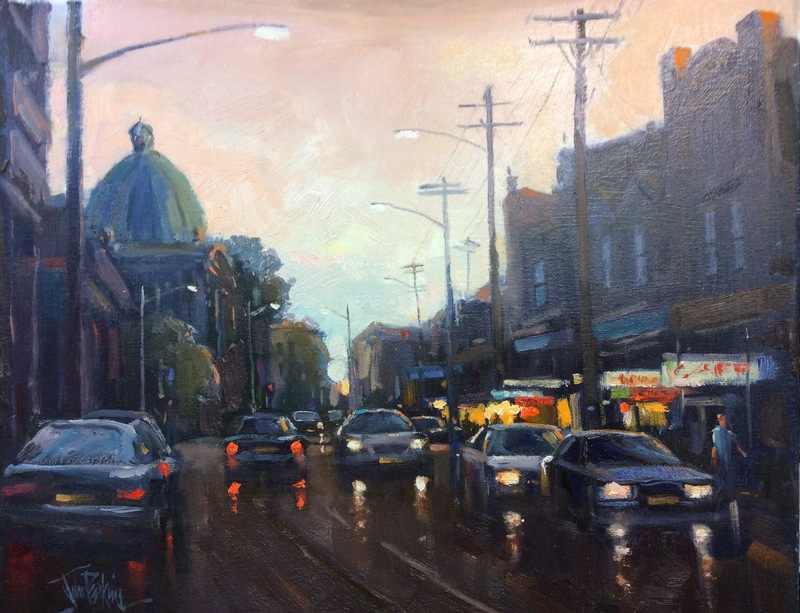 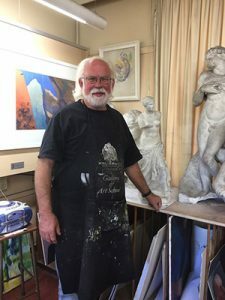 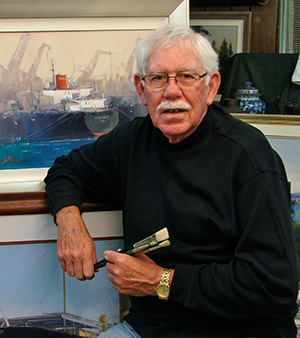 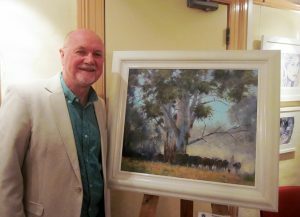 We are very happy to have John Perkins with us to demonstrate ‘Painting in Oils’ at our next monthly meeting Tuesday 14th August, 7:30pm at the Stan Stevens Studio, Deerubbin Centre, George St, Windsor. 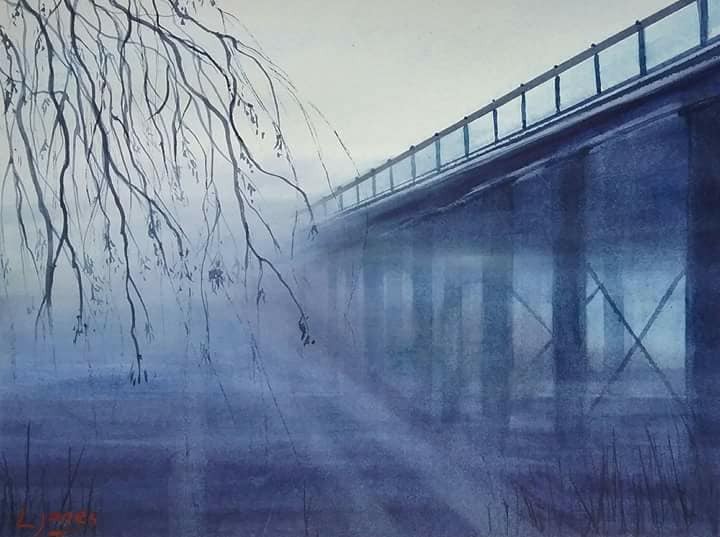 We are very happy to have Leanne Jones demonstrating Painting a Modern Watercolour at our monthly meeting for Tuesday 8th May, 7:30pm at the Stans Stevens Studio, Deerubbin Centre, George St, Windsor. 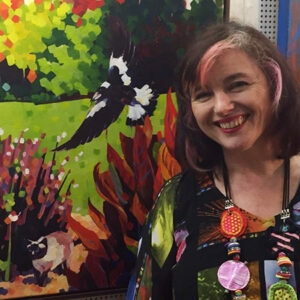 Leanne’s vibrant paintings address qualities of transparency yet are marked by a strong use of colour and cover a wide variety of subjects and styles. 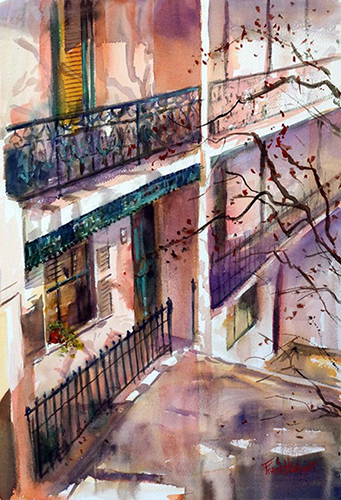 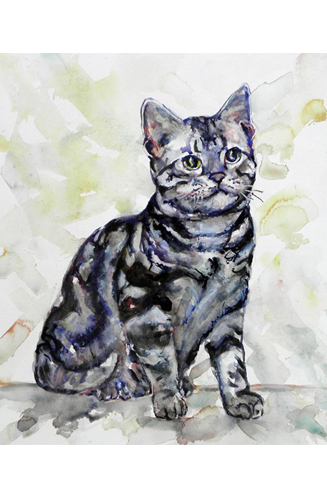 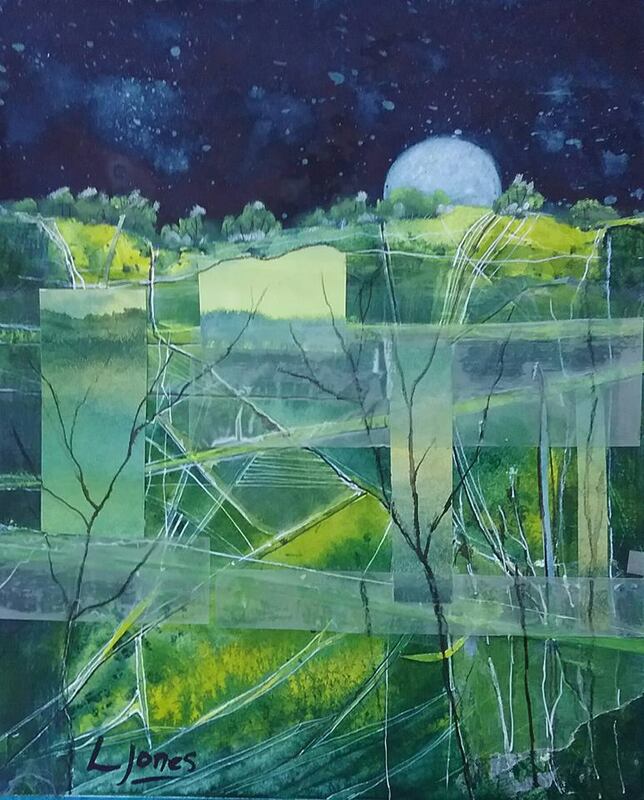 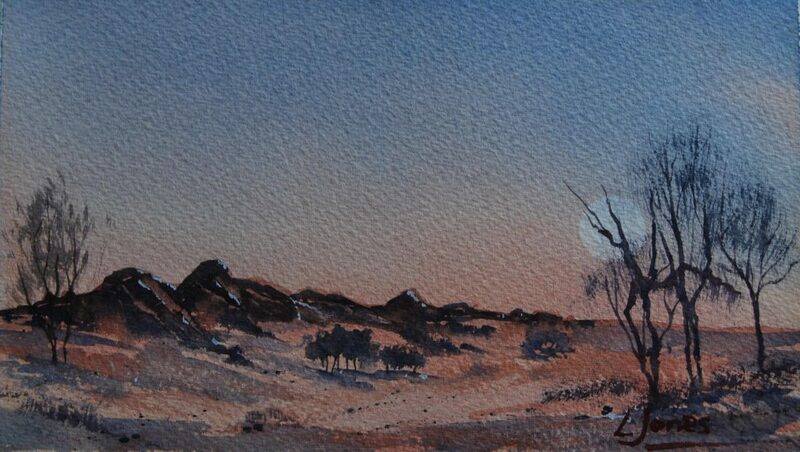 Watercolours and Mixed Media are favourites of her’s, along with abstraction and Charcoal drawings. 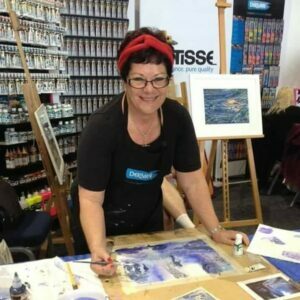 Leanne has open studio weekends throughout the year and is also president of Hawkesbury Artists & Artisans Trail. 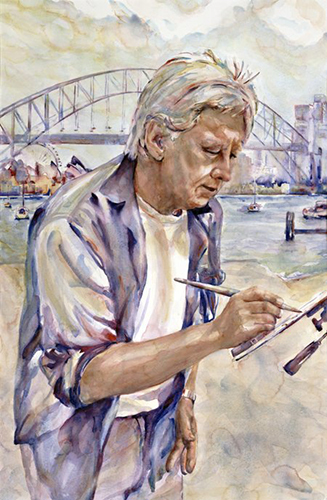 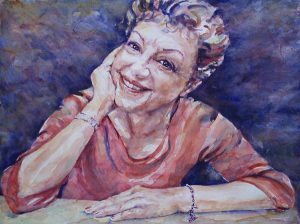 She also teaches regular weekly classes and workshops in traditional and contemporary Watercolours, Mixed Media, Pen & Ink and Drawing. 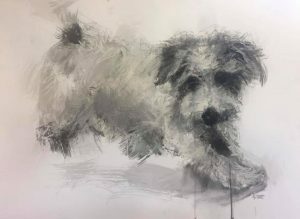 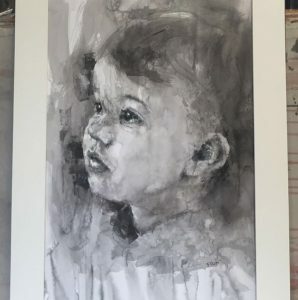 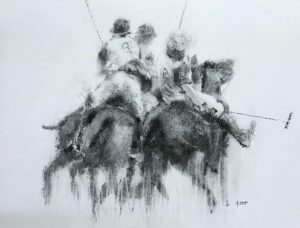 In October, we are very happy to have talented local artist Jeanette Starr demonstrating a drawing in Charcoal & Ink at our monthly meeting for Tuesday, 10th October, 7:30 pm at the Stans Stevens Studio, Deerubbin Centre, George St, Windsor. 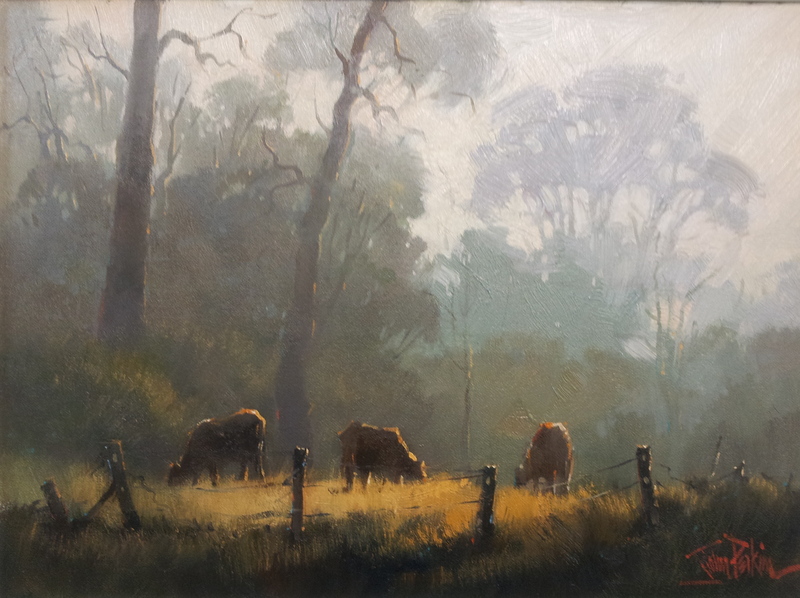 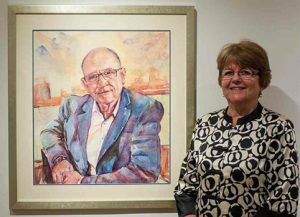 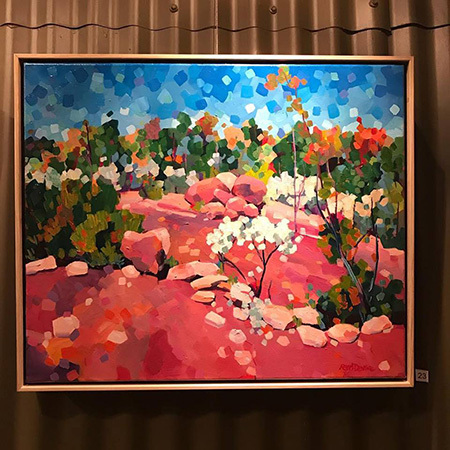 Originally from Yorkshire England, Jeanette worked as a graphic artist/photographer before venturing to Australia in her 30’s to live on acreage. 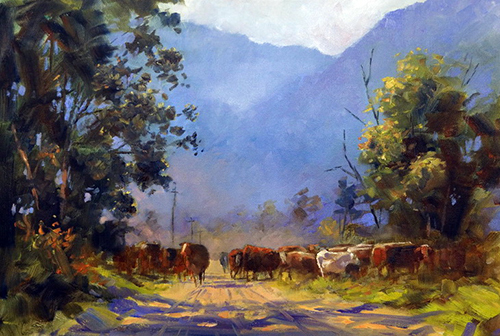 Jeanette is well known for her love of horses and her beloved subjects are never too far away. 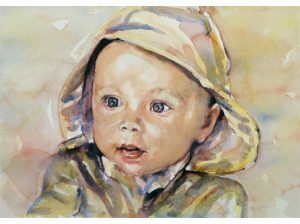 She loves painting all animals and portraits alike and is happy to do commissions. 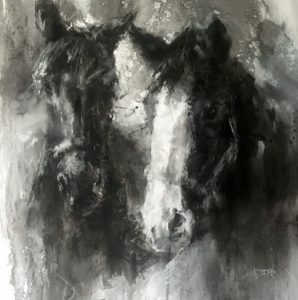 Drawing and painting in various mediums but particularly oils, acrylics, inks and charcoal. 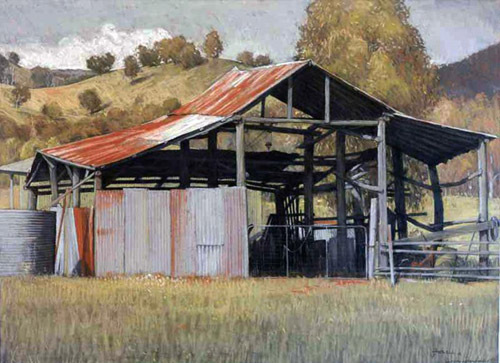 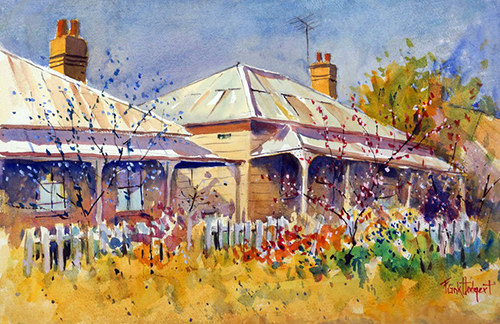 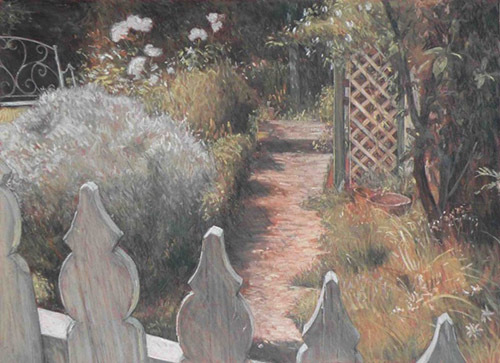 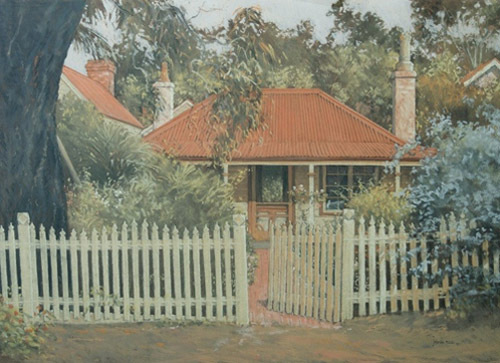 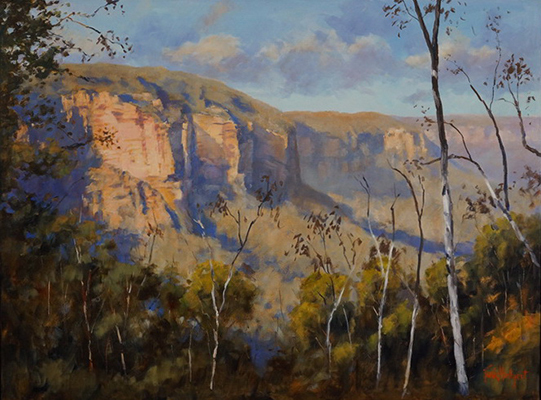 Jeanette works from her Little River Art Studios where she holds workshops and exhibitions. 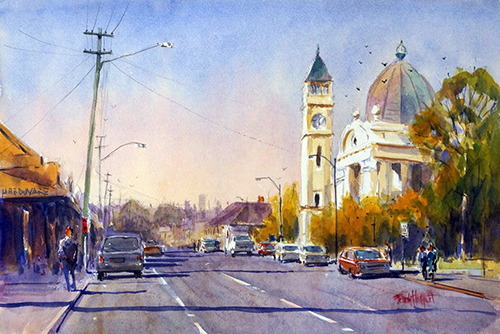 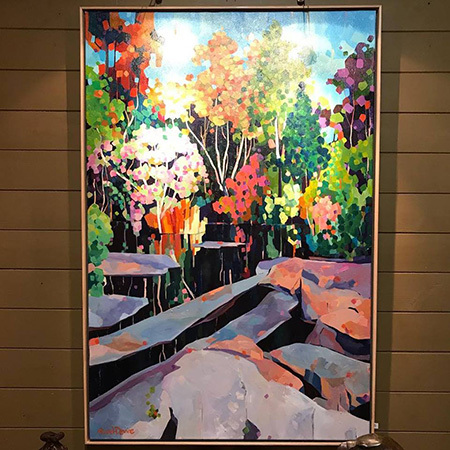 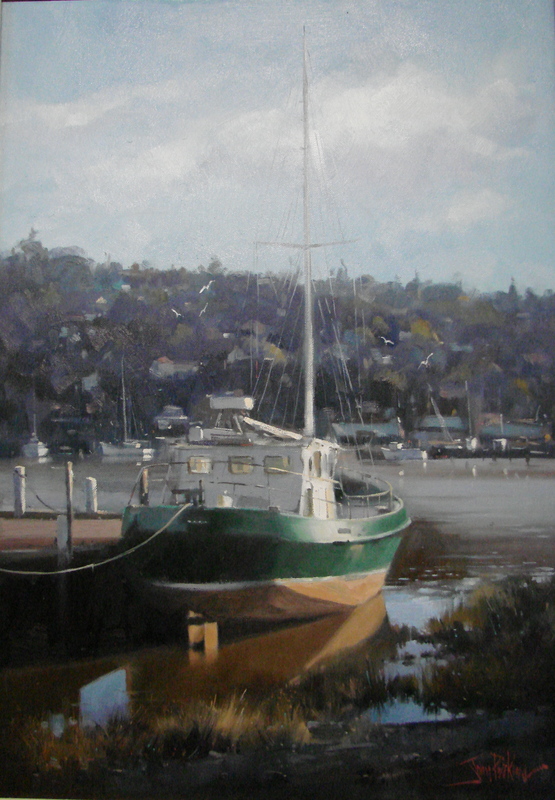 Also a member of the Hawkesbury Artists and Artisans Trail. 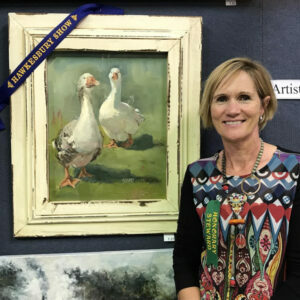 Often successfully winning awards at the Hawkesbury Show, MTAS exhibitions and other shows, we are pleased to see Jeanette in action at our next demonstration. 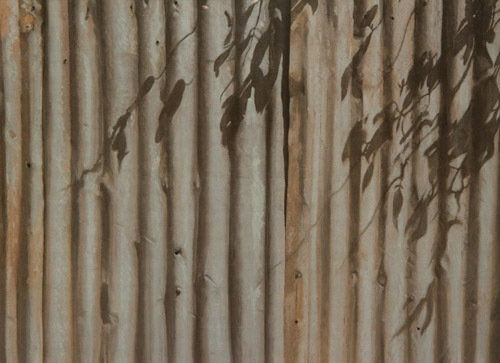 For inquiries phone Deidre or Satya 02 45783 555.